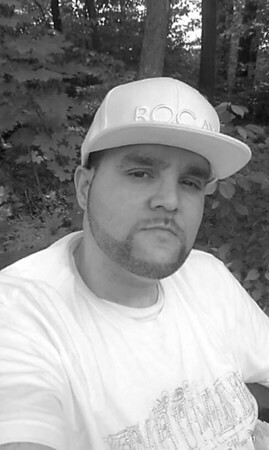 Hugo Lugo, 43, of New Britain, passed away peacefully on Monday, July 30, 2018, at Hartford Hospital. Born in Passaic, N.J., he was a New Britain resident since 1986, and was employed as a material handler and Constructive Workshops for eight years. Surviving are his mother, Santa Vega of Puerto Rico; his father, Ramon Lugo of New Jersey; two brothers, Jorge Lugo of Buffalo, N.Y., and Ramon Lugo of New Britain; a sister, Arelys Lugo of San German, Puerto Rico; a niece, Brianna Lugo Rubino; a nephew, Christian Lugo; his Goddaughter Desiree Rosa; and other family and friends. Calling hours will be held on Saturday from 12 to 4 p.m. at Erickson-Hansen Funeral Home, 411 South Main St., New Britain. Funeral services and burial will be in Puerto Rico. In lieu of flowers, donations may be made to the Family, c/o the funeral home. Posted in New Britain Herald, on Wednesday, 1 August 2018 19:59. Updated: Wednesday, 1 August 2018 20:01.